Ridge to Reef Farm (R2R) will hold another Slow Down Dinner with some new winter crops and Chef Andrew Thaldorf & Co.! To RSVP: email [email protected] or TEXT R2R’s temporary line at 514-0312. Include the name of the party, number of people and preference for either omnivore or vegan. Any cancellations should be made at least 48 priors prior so that the farm can contact the waiting list. BYOB! Coolers welcomed. Tour at 5:30 p.m. and Dinner at 6:30 p.m. Experience six local courses and farmer presentations! Recommended $60-100/pp cash or check donation plus TIP. Let us know if you will be eating omnivore or vegetarian. Sign up on the website mailing list to get complete info, directions, and other farm announcements. High clearance vehicles only. 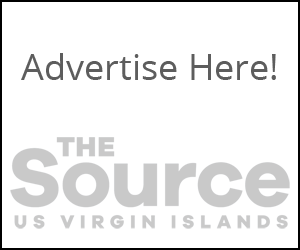 Since 1999 the Virgin Islands Source – the U.S. Virgin Islands ONLY on-line only newspaper of general circulation – has been providing the community with up-to-the-minute, reliable, accurate, and FAIR news and information. © 2018 V.I. Source Publications, Inc.